From light shades of violet to bold terracotta and subtle gray tones, there are now 50 different polymer roofing colors available to add “top down” color on a home. 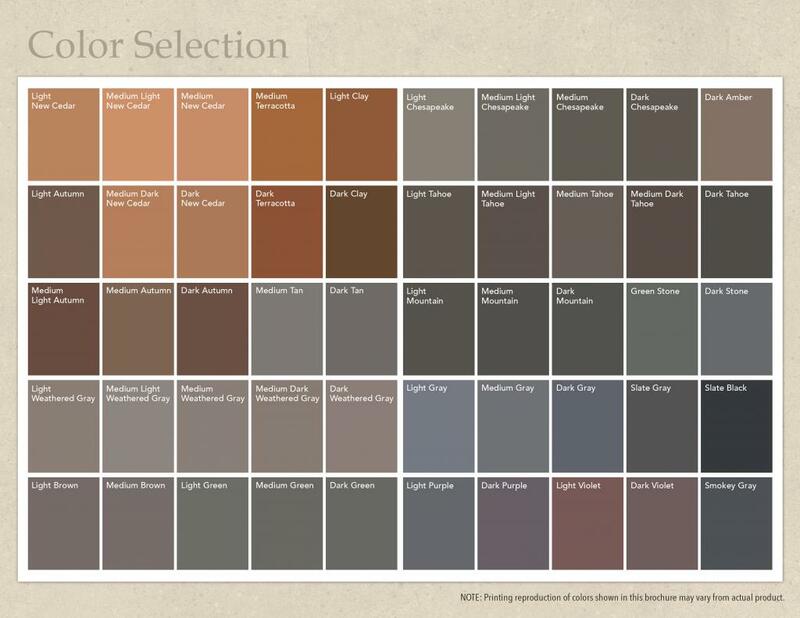 These 50 colors — combined with a variety of color blends available from DaVinci — give homeowners unlimited possibilities for customizing their designer roofs. “In today’s world, consumers use color to personalize every aspect of their lifestyles,” says Kate Smith, president and chief color maven of Sensational Color. “From the selection of an iPhone case to placemats for a table setting to flowers in a garden, color plays a role in every element of our daily lives. Want more color insights? See Don’t Hide Your Gray! plus Shaking It Up with Color Blends and Timeless Roof Colors.